Serving Tray for Hires 5 Cent Root Beer. There are a few variations of the Hires trays. 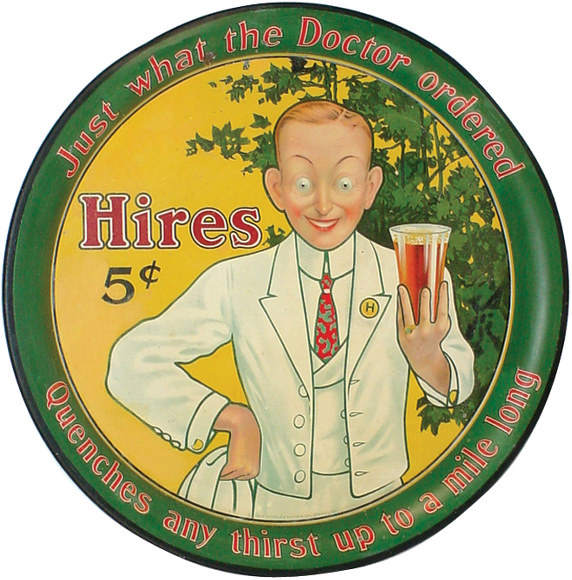 This tray states across the top “Just what the Doctor ordered” and along the bottom “Quenches any thirst up to a mile long.” Josh Slinger stands in the center holding put a glass of the company’s root beer.